21. בֹּא רְאֵה, עֶשְׂרִים שָׁנָה הִשְׁתַּהָה יִצְחָק עִם אִשְׁתּוֹ וְלֹא הוֹלִידָה, עַד שֶׁהִתְפַּלֵּל תְּפִלָּתוֹ. מִשּׁוּם שֶׁהַקָּדוֹשׁ בָּרוּךְ הוּא מִתְרַצֶּה בִּתְפִלּוֹת הַצַּדִּיקִים בְּשָׁעָה שֶׁמְּבַקְשִׁים לְפָנָיו אֶת תְּפִלָּתָם עַל מַה שֶּׁהִצְטָרְכוּ. מָה הַטַּעַם? כְּדֵי שֶׁיִּתְרַבֶּה וְיִתּוֹסֵף מִשְׁחַת קֹדֶשׁ לְכָל מִי שֶׁצָּרִיךְ בִּתְפִלּוֹת הַצַּדִּיקִים. 22. בֹּא רְאֵה, אַבְרָהָם לֹא הִתְפַּלֵּל לִפְנֵי הַקָּדוֹשׁ בָּרוּךְ הוּא שֶׁיִּתֵּן לוֹ בָּנִים, אַף עַל גַּב שֶׁשָּׂרָה הָיְתָה עֲקָרָה. וְאִם תֹּאמַר, הֲרֵי כָּתוּב הֵן לִי לֹא נָתַתָּה זָרַע – הַהוּא לֹא מִשּׁוּם תְּפִלָּה הָיָה [הַהוּא לֹא צָרִיךְ בָּנִים], אֶלָּא כְּמִי שֶׁמְּסַפֵּר לִפְנֵי רִבּוֹנוֹ. אֲבָל יִצְחָק הִתְפַּלֵּל עַל אִשְׁתּוֹ מִשּׁוּם שֶׁהוּא הָיָה יוֹדֵעַ שֶׁהוּא לֹא עָקָר, אֶלָּא אִשְׁתּוֹ. שֶׁיִּצְחָק הָיָה יוֹדֵעַ בְּסוֹד הַחָכְמָה שֶׁיַּעֲקֹב עָתִיד לְהוֹצִיא מִמֶּנּוּ בִּתְרֵיסַר שְׁבָטִים, אֲבָל לֹא יָדַע אִם בָּאִשָּׁה הַזּוֹ אוֹ בְּאַחֶרֶת, וְעַל כֵּן לְנֹכַח אִשְׁתּוֹ וְלֹא לְנֹכַח רִבְקָה. Isaac waited 20 years to pray for his wife to have his child. The Zohar tells us that God wants to answer to the prayers of Tzadikim. They have big and pure channel and their prayers create a large vessel that gives YHVH ‘opportunity’ to send high level of Light to fill and fulfill that vessel. Rabbi Ashlag in his commentary on this paragraph of the Zohar explains that the righteous don’t believe they have the merit for miracles or changing nature. Isaac had a spirit of wisdom and knew that from him Jacob and the 12 tribes will come. Because of that he knew that his wife was barren and not him. He prayed to have that knowledge fulfilled. The question is why Isaac needed to pray if he knew that Jacob and the 12 tribes would come from him, and Rabbi Ashlag explains that Isaac prayed because he feared he might have sinned and might lose the merit. A similar example we read later with Jacob who prayed to God to save him from his brother Esau even though God promised him blessings and becoming a great nation. We need the help of Tzadikim to support our prayers. The Tzadik has a vessel that can carry our prayers to higher levels so they can be answered. The Daily Zohar puts a great focus on Tzadikim because we need their help. With our daily study of the Zohar we get the support of Rabbi Shimon to help us on our path to complete our personal tikkun process and elevate our souls. 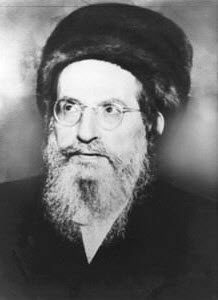 Resources to connect to Tzadikim. We provide a service of carrying your personal prayers at Tzadikim sites, documented and delivered on video.